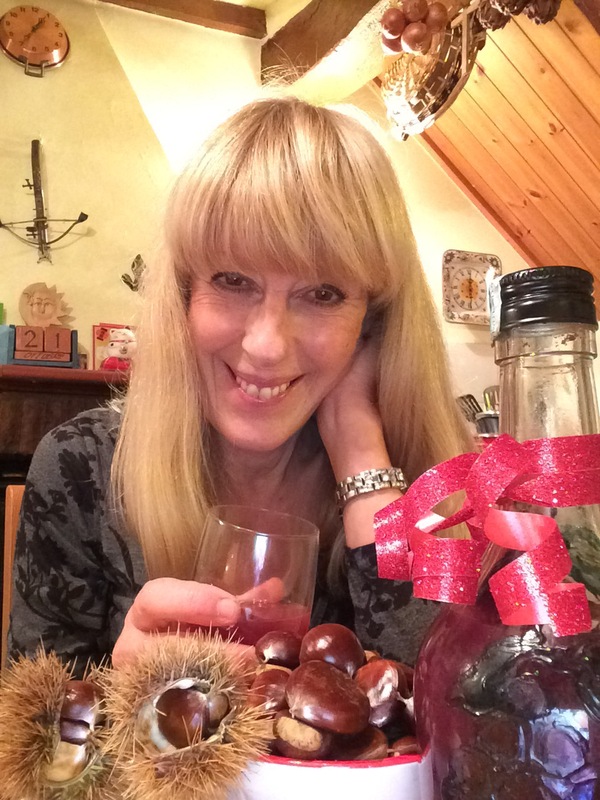 I’ve collected the first lot of chestnuts and made the first lot of mulled wine and now I’m going to put my feet up and enjoy a glass while the chestnuts are roasting. It may be four weeks off Christmas but who cares! 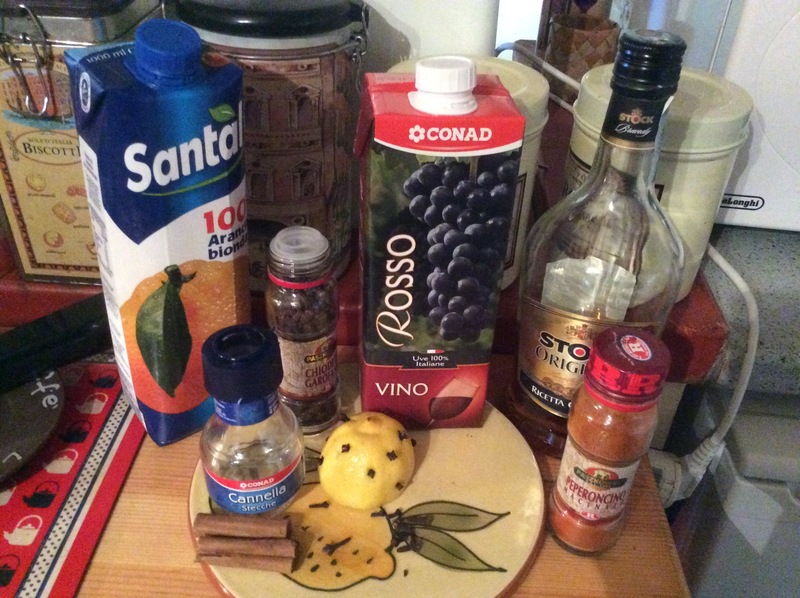 I’ve been making this mulled wine for many, many years and , despite sampling the varieties at different Christmas Markets all over Europe I haven’t found one that comes anywhere near to it! Of course that’s my opinion and tastes do vary! I don’t like the sickly sweet varieties and I think you should be able to taste the brandy ! So, if you like me find most varieties too sweet and if like your mulled wine to have a bit of a kick then I think you will like this one! Half a litre of red wine. A quarter of a litre of good unsweetened orange juice. Two decent measures of Brandy. A pinch of Pepperonchini or crushed chilliest….this adds a great kick but don’t overdo it! I use the microwave but you can do this in a pan on top of the stove if preferred. Just put everything in a big jug and then put that into the microwave. Bring to nearly boiling and then turn down setting and keep hot for about thirty minutes. Microwaves do vary so you need to keep checking . Don’t let it bubble! That will destroy the taste and the alcohol. Then leave for a couple of hours. During this time the flavours will still be percolating through the liquid and through the room which is just divine! The bottle will be very hot! Be careful getting it out. You will need a cloth or oven gloves. Cool a little then pur in the strained liquid. I’m not sure how long this will keep as we usually drink it pretty quickly! Just delicious with chestnuts roasted on an open fire or mince pies! Last night we had a thunderstorm. In fact it’s still happening! ! That’s 14 hours of thunder and lightening ! The lightening was so bright that it lit up the whole sky. We were all kept awake at Jumble House but it was fun to watch! 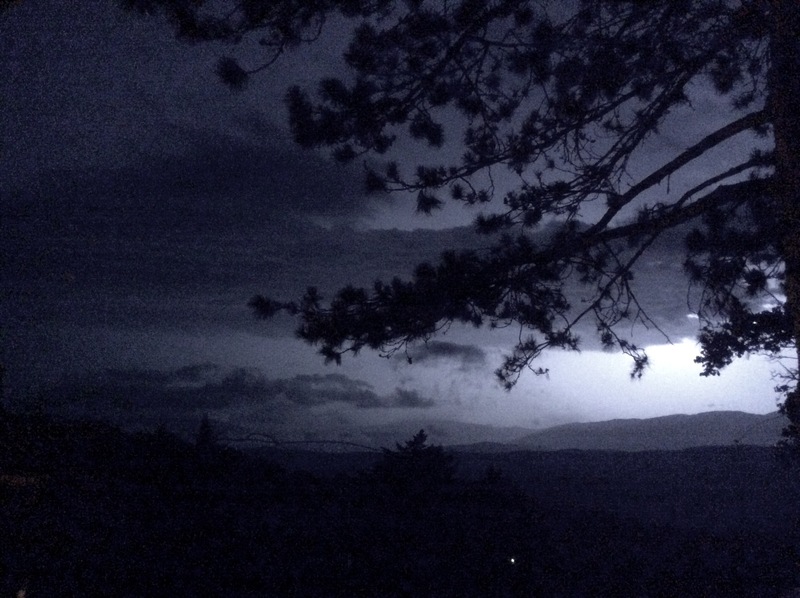 So, what IS a thunderstorm and why do we have them? Well, thunderstorms usually occur in hot, humid weather and for the past week it has been very hot and humid! We say it is humid when we feel warm and sticky. This is because the air is heavy with moisture (water vapour). Hot air rises and when this hot air is also full of water it builds up into great big peaks of cloud. These clouds have a very big name too! CUMULONIMBUS. They are very angry clouds with storms raging inside ! The cloud becomes fuller and fuller with water and when it can hold no more it lets it all go and we have very heavy rain. Lightening happens because the air rising inside the cloud carries a negative charge of electricity. But the raindrops falling to the bottom of the cloud carry a positive charge. When these charges meet inside the cloud there is a violent battle and sparks of electricity are made. This is the lightening. The lightening is very very hot. This heat makes the air around get bigger (expand) and then suddenly get smaller agsin (contract). This expansion and contraction makes the b a n g . The thunder. A storm is fun to watch but please keep safe! Don’t shelter under trees…keep low on the ground. Keep away from anything made of metal like poles and fences. Keep out of water and that includes puddles! If you are indoors unplug all computers and electronic equipment and the TV. It’s fun to watch but don’t get too close to the window. Just look at this video we took during the night!